Collegians of the 1960s returning to Fort Lauderdale would be hard-pressed to recognize the onetime “Sun and Suds Spring Break Capital of the Universe.” Back then, Fort Lauderdale’s beachfront was lined with T-shirt shops, and downtown consisted of a lone office tower and dilapidated buildings waiting to be razed. Not anymore! The beach and downtown have since exploded with upscale shops, restaurants, and luxury resort hotels equipped with enough high-octane amenities to light up skies all the way to western Broward’s Alligator Alley. At risk of losing small-town 45-rpm magic in iPod times—when hotel parking fees alone eclipse room rates of old—Greater Fort Lauderdale somehow seems to meld disparate eras into nouveau nirvana, seasoned with a lot of Gold Coast sand. The city was named for Major William Lauderdale, who built a fort at the river’s mouth in 1838 during the Seminole Indian wars. It wasn’t until 1911 that the city was incorporated, with only 175 residents, but it grew quickly during the Florida boom of the 1920s. Today’s population hovers around 165,000, and suburbs keep growing—1.75 million live in Broward County’s 31 municipalities and unincorporated areas. As elsewhere, many speculators busily flipping property here got caught when the sun-drenched real-estate bubble burst, leaving Broward’s foreclosure rate to skyrocket. But the worst is far behind us. By the time the city began celebrating its centennial in 2011, it had resumed the renaissance that began before the economic crisis. 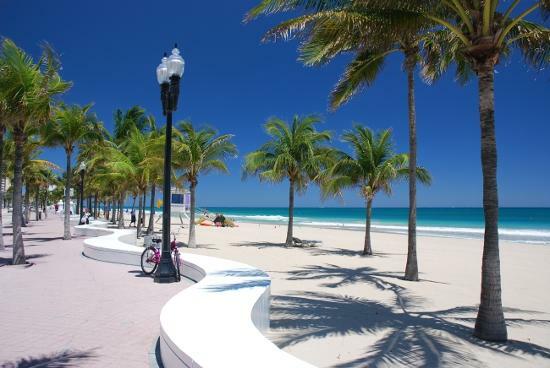 The 20-mile shoreline—with wide ribbons of golden sand for beachcombing and sunbathing—remains the anchor draw for Fort Lauderdale and Broward County, but amazing beaches are now complemented by show-stopping hotels, an exploding foodie scene, and burgeoning cultural scene. In a little more than 100 years, Fort Lauderdale has grown into Fort Fabulous. Blue waves Sparkling Lauderdale beaches spanning Broward County’s entire coast were Florida’s first to capture Blue Wave Beach status from the Clean Beaches Council. Inland waterways More than 300 miles of inland waterways, including downtown Fort Lauderdale’s historic New River, create what’s known as the Venice of America. Everglades access Just minutes from luxury hotels and golf courses, the rugged Everglades tantalize with alligators, colorful birds, and other wildlife. Vegas-style gaming Since slots and blackjack tables hit Hollywood’s glittering Seminole Hard Rock Hotel & Casino in 2008, smaller competitors have followed this lucrative trend on every square inch of Indian Territory. Cruise gateway Port Everglades—home port for Allure and Oasis of the Seas, the world’s largest cruise vessels—hosts ships from major cruise lines. 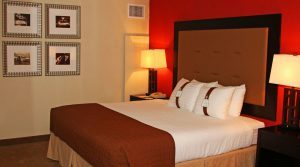 Located in South Florida’s bustling Broward County just minutes from Fort Lauderdale, The Sawgrass Grand Hotel and Suites ushers in a new era of modern style in one of the state’s premier business and leisure destinations. An anchor in South Florida’s mix of high-tech companies and powerhouse retail centers, the service-driven 291-room hotel is a sought-after destination for sports enthusiasts, shoppers and sightseers alike, offering easy access to the soccer and rugby-friendly Kics Sports Complex, Sun Life Stadium, BB&T Center and nearby Sawgrass Mills Mall, as well as the Everglades, beaches and popular South Florida attractions. Ideally located just 20 minutes from the Fort Lauderdale/Hollywood International Airport, Bonaventure Resort & Spa is one of South Florida’s most comprehensive, full-service resorts and conference centers. 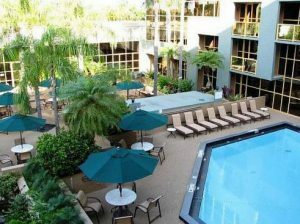 Spanning 23 lush acres, this sprawling resort is equally suited for business and pleasure, with four beautiful swimming pools, four restaurants, aLaya Spa, a 24-hour Fitness Center, newly renovated Conference Center and championship PGA golf course at Bonaventure Country Club. The neighboring Weston Tennis Center offers 17 courts, as well as lessons, clinics and competitive tennis programs.